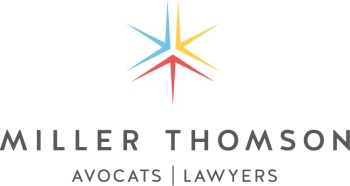 The Alberta Land Titles office no longer accepts powers of attorney for general registration. This recent change in procedure prompted us to reflect on the limitations of “enduring” powers of attorney where the grantor of the power has interests in land. An “enduring” or “continuing” power of attorney is one that continues after the grantor loses mental capacity. Alberta Land Titles distinguishes between a “general” power of attorney and a “special” power of attorney. A special power of attorney references one or more particular parcels of land by their legal descriptions. Special powers of attorney are often used to appoint someone to sign a transfer of land or other instrument on a temporary basis, for example, if the land owner will be travelling or otherwise unavailable at a time when a land transaction is due to close. Once registered against a specific parcel of land, a special power of attorney suspends the registered owner’s right to deal with that land. While the power of attorney is registered on title, only the attorney may sign. Special powers of attorney are not typically used to plan for an individual’s loss of capacity. Such a power would need to be updated each time the grantor bought or sold a property. To avoid this inconvenience and expense, enduring powers of attorney are usually general in nature; that is, the attorney is granted the power to deal with land and to sign instruments on behalf of the grantor, but no particular parcels or properties are described. If an attorney acting under a general power of attorney needs to deal with land owned by the grantor, the power of attorney is submitted to the Land Titles office along with the relevant instrument (such as a land transfer or mortgage). Provided that the power of attorney meets the requirements of the local land registry, the instrument bearing the attorney’s signature will be accepted for registration in respect of land owned by the grantor. The power of attorney must be resubmitted each time the attorney signs an instrument on behalf of the grantor. The Land Titles office neither retains the general power of attorney, nor makes any notation on title that a power of attorney has been invoked. The result is that a general power of attorney has no effect on the grantor’s ability to continue to sign instruments with respect to his or her own property. Consider the situation where the grantor has lost the capacity to make reasonable decisions regarding his or her property but is still able to sign documents. Indeed, the grantor may present himself or herself to the world as having the requisite capacity. Unfortunately, this is when individuals of limited capacity can be at their most vulnerable and subject to influence. How is the attorney to ensure that the grantor’s land is properly protected and preserved? In this situation, a general power of attorney is of little use to protect the grantor from himself or herself, and from others seeking to take advantage of the grantor’s limited capacity. Powers of attorney are strictly construed, in accordance with the law of agency. The attorney will not be permitted to transfer land to himself, unless the power of attorney expressly allows it. Without such an express power, the attorney’s only means of preventing the grantor from signing an improvident land transfer or mortgage is to seek a court order restricting the grantor from dealing with his or her own land. It is certainly not an ideal solution, owing to the added costs and the publicity of the court process, not to mention the stress and disruption of serving the grantor with court documents at a time when the grantor has limited capacity. Estate planning advisors should discuss with the grantor, whether the enduring power of attorney should include an express power for the attorney to transfer land to himself or herself. The grantor may wish to add such a power to guard against the risk that the grantor may, in the future, act improvidently with respect to his or her own land. It will also be necessary to consider what safeguards ought to be added to guard against a rogue attorney. Frequent reporting and accounting requirements may assist in this regard. The risks must be balanced with the desired practicality and convenience that the grantor expects when he or she signs an enduring power of attorney. In any case, planners should ensure that their clients understand the limitations of a general enduring power of attorney, in relation to land, so that the grantor can make an informed decision.